Posted on 23, March 2016 by EuropaWire PR Editors | This entry was posted in Entertainment, Media, United Kingdom and tagged computer games, Dara O Briain, Dave channel, Don Taffner Jr., Iain Coyle, Steve North, UKTV. Bookmark the permalink. LONDON, 23-Mar-2016 — /EuropaWire/ — UKTV’s leading entertainment channel Dave continues to expand its entertainment slate by diving into the world of computer games with brand new commission Dara O Briain’s Go 8 Bit (6×60′). Dara O Briain’s Go 8 Bit is based on the smash hit live Edinburgh show Go 8 Bit and hosted by comedian and gaming enthusiast Dara O Briain. Each week the show will see two celebrity guests compete to be crowned ‘8 Bit Champion’. The new series is developed and produced by DLT Entertainment and is its first commission since expanding to non-narrative entertainment. The team captains are Steve McNeil, a self-confessed gaming geek, and Sam Pamphilon, a cynical amateur, who both devised and hosted the original Edinburgh show. Each week they will guide their celebrity guest teammate through five rounds of increasingly competitive, hilarious gaming contests. Whether it be an arcade classic like Pac-Man, the latest blockbuster Grand Theft Auto or Fallout title, the most cutting-edge computer technology – or even larger-than-life game-inspired physical challenges, Dara and the show’s resident gaming expert Ellie Gibson will be on hand to adjudicate, commentate, and generally wind up the contestants. The series will be recorded in front of a live studio audience who will decide the winner of each round. Put a video game controller in the hands of a nun and she’ll turn into a trash-talking bloodthirsty monster. Give a controller to a comedian and they’ll do that too, but be funny. In video games veritas, my friends. This show is a raucous, back-biting, properly competitive celebration of the world’s favourite pastime. Let’s Go 8 Bit! As someone who barely knows his Wii U from his ZX Spectrum, I was a huge fan of the live show. Add Dara to that mix and I think you’ve got yourself the potential to join gaming and comedy audiences in a completely unique way. Go 8 Bit is a very funny stage show with a cult following. We love working with the comedy community to bring successful stage shows to the Dave audience, as we did with Alex Horne’s Taskmaster. Having Dara on board makes it a perfect fit for Dave. Dara O Briain’s Go 8 Bit is unlike anything else on TV. It is a completely new type of gaming show with its mix of gaming experts, comedians, guest stars and nostalgia to create an unmissable entertainment series. The show will combine our love for retro games with the latest technology and audience interaction that all viewers – young, old, male, female, and most importantly gamers and non gamers – will love. We are looking forward to working with UKTV and Dave to bring this exciting new concept to life. Dara O Briain’s Go 8 Bit has been ordered by director of commissioning, Richard Watsham and Dave general manager, Steve North and will be executive produced for Dave by Iain Coyle. Executive producers for the series are Donald Taffner, Jr. and Michaela Hennessy-Vass, the series producer is Darren Sole, the producer is Rohan Acharya, and the series director is Steve Smith. 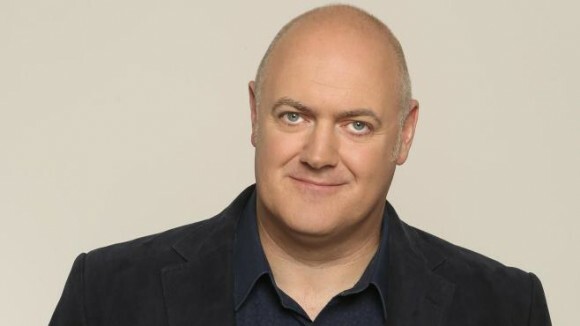 Dara O Briain’s Go 8 Bit will join the successful raft of UKTV Originals on Dave, including two brand new series of Taskmaster later this year, new Storage Hunters UK, Red Dwarf XI and Hoff the Record series two. UKTV’s flagship free-to-air entertainment channel has retained its place as the number one non-PSB channel in the UK and grew by 1% year-on-year in 2015. Dave proudly presents a plethora of original commissions; award-winning Crackanory, Ross Noble Freewheeling, Dave Gorman’s Modern Life is Goodish, and Alan Davies: As Yet Untitled, all laden with the biggest names in British comedy. Not to mention a brand spanking new original series Hoff the Record, Undercover and Taskmaster. There’s national treasures like QI, Red Dwarf X, Mock the Week and Have I Got News For You, plus the Red Bull trilogy of Cliff Diving, X-Fighters and the Soap Box races. And of course, we still have Top Gear. Dave is the UK’s most watched non-PSB channel broadcasting to over 27 million people per month, featuring hit US shows including the sharp-witted and sharp-suited Suits, the ludicrously addictive Lizard Lick Towing and the wonder that is Storage Hunters and now original commission Storage Hunters UK, the gift that keeps on giving. UKTV’s eleven imaginative brands – UKTV Play, Dave, W, Gold, Alibi, Yesterday, Drama, Really, Home, Eden and Good Food – include the most popular non-PSB channel in the UK and account for 9% of the British commercial TV market. The company’s most recent financial results showed record-breaking year-end revenue of £283m and EBITDA of £74.1m. It invested £123m in programming and related launches last year, and is becoming an increasingly significant investor in UK creativity. Now celebrating its 22nd year at the forefront of digital television, UKTV – an independent commercial joint venture between BBC Worldwide and Scripps Networks Interactive, Inc. (SNI) – is proud to be the only British television broadcaster to be recognised by Best Companies. With offices in London, New York and Los Angeles, DLT Entertainment Ltd. is engaged in every aspect of television distribution and production around the world, as well as stage production in the US and in the UK where is owns London’s Shaftesbury Theatre. Founded in 1963 as a distribution company by Don Taffner Senior, the company added television production to its portfolio in 1977. It has enjoyed terrific success in its nearly fifty years with legendary hits on both sides of the Atlantic including the multiple award-winning and BBC Trust praised sitcom My Family, As Time Goes By, Three’s Company, Too Close For Comfort and Meet My Folks. In addition, DLT has built a reputation as a leading distribution company with classics such as The Benny Hill Show, The World at War, Chicken Soup for the Soul, Cinema Europe: The Other Hollywood, The Russ Abbot Show, and Michel LeGrand and Friends.